Oh Sarah. My heart is breaking! If there is good news, it's that her biological family will be with her. But the pain comes when thinking about her family here. Hugs to Boo and Chris. Hugs to her grandparents here. Hugs to her aunts. And prayers for new journeys for both parties. It is so hard, but I truly think they made the right decision. I agree with Liz, but what a hard decision to make. My prayers go out to Boo & Chris. Can't wait to hear about their 2nd domestic adoption! How is Missy? Oh, my heart is breaking for Boo and Chris. I can only imagine the pain of having to let go of Avery. Thank you for letting us know, because I, too, have been wondering. Sending prayer and hugs for your whole family. Prayers, Mental hugs, peace and comfort for everyone. This makes me want to cry. But it sounds like Boo and Chris (and the rest of you, too) have the perfect family support to allow the healing that they will need. I will keep you guys in my prayers. I am so sorry to hear this! I would imagine that this is hard for the whole family to process! I'm glad though that there is finally some closure for everyone involved. I am so sorry for the pain that ALL of you have gone through and look forward to reading of the joyful news of the arrival of CiCi's sibling. Henry will, no doubt, welcome a new cousin with open arms. Thank you SO much for the update on Avery and the family's struggles. I had been following Boo's blog for years and think of her often. It must have been a heart wrenching decision to walk away, but then in a sense Avery is already home. My very best wishes to them for the future. Thank you for sharing Sarah. I am heartbroken for all of you because I know how much Avery was already a part of your family...in your hearts if not yet in KY. Please know that I love you all and that you all (Avery included) will be in my prayers. 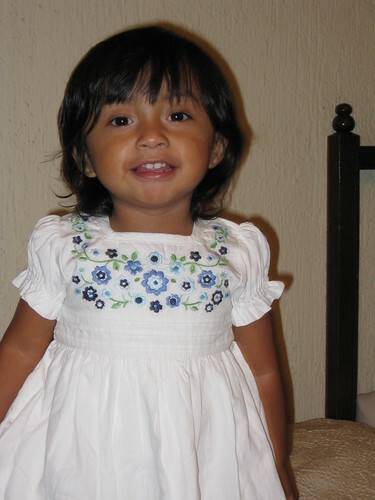 Maybe it took a little girl in Guatemala to open Chris and Boo's hearts, and the hearts of the rest of your friends and family to the idea of adoption? She certainly proved you can absolutely fall in love with a child born to someone else. Maybe the domestic adoption idea would never have happened if she hadn't been there first. Even though she won't be coming home to Boo and Chris, she has been a blessing in her own way, and I know she will always have a bit of a place in all your hearts forever. I have often wondered about Avery but I did not want to pry. I'm so sorry this happened to Boo, Chris, and your family. It breaks my heart. Love to all of you!